Cabo de Peñas in Asturias is the second most northern point in Spain. A well marked trail runs along the rugged coast. The photo is by batiskafo on Flickr. Photo of the imposing Picos de Europa showing Peña Maín in the centre and my favourite (though not to climb) Naranjo de Bulnes to the left. The photo is by batiskafo on Flickr. 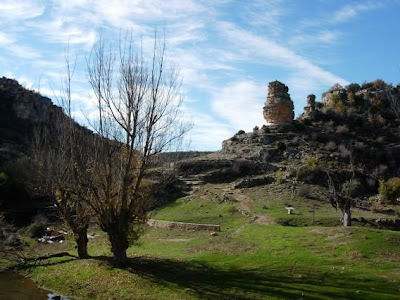 The Ayoluengo oil field (campo petrolífero de Ayoluengo) is a small petroleum deposit in Burgos. It was discovered in 1963, and for a time many believed the area would become the Spanish Texas, though yields have been small with 17 million barrels produced since its opening in 1963. Some 80 barrels are currently produced on a good day with some 80-100 million barrels left, of difficult access. 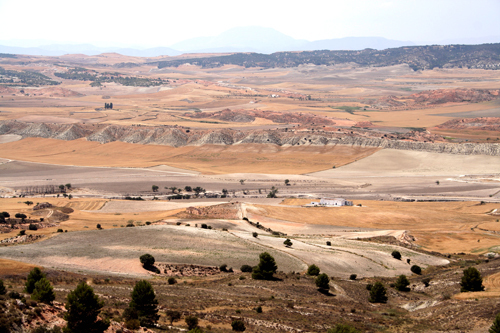 Not the most picturesque of sites perhaps, but when you drive past, you have to remind yourself you’re in Spain. A number of the old pumps (known locally as `caballitos´- little horses ) stand to one side, a cemetery of dinosaurs. The Camín Real de la Mesa, is an ancient Roman trail linking Asturias and León, and forms a tributary of the famous Ruta de la Plata. The trail takes you through some of the most spectacular, least-known scenery in Europe. 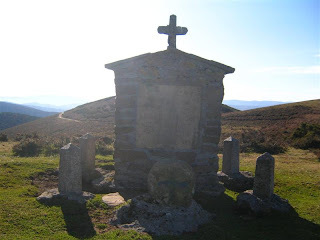 “For centuries the Camín was one of the few points of contact between the provinces of León and Asturias. It is essentially Roman in construction, but the route has been used for trade for 5,000 years, traversing a mountain range with peaks of 2,000m, reaching into some of Spain’s most wildly beautiful and otherwise inaccessible landscapes. More from the Guardian Looks very tempting. On Mt Gorbea in the Basque Country is a monument to a young shepherdess who was allegedly devoured by wolves in 1308. She became lost in the fog. The next day the only all her family could find were some strands of her hair. 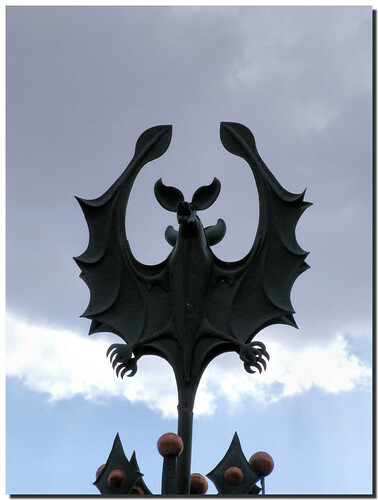 The only photo I could find is from this nice cycle blog blog. The granite peak of Almanzor (2592 m) is the highest mountain in the Sistema Central, the range that cuts the great Meseta of Spain in two. It crowns an immense glacial cirque in the Sierra de Gredos, known as the Circo de Gredos (read about legend below). The mountain is also known as Pico de Almanzor and Moro Almanzor. Almanzor takes its name from Al-Mansur (the victorious), the de facto Moorish ruler of Al-Andalus during the late 10th-early 11th centuries. His rule marked what was probably the peak of Islamic power in Spain. Legend has it that Al-Mansur passed by here after a terrible battle with the Christians. He was taken by the beauty of the mountains which at the time functioned as a frontier between Islamic Spain and the Christian lands, and so he decided to set up camp for the night. Under the stars, he was captivated by the stories of shepherds from the area. They told him than in the heart of these mountains, terrible noises could be heard that would echo along the gullies and ravines, and which would shake the very hearts of the people of these parts. The next day, the Moorish king bade the shepherds to lead him to the place they spoke of: a magnificent cirque in centre of the Gredos mountains. When the company reached the place, they were greeted by a deafening silence. Fearful of the Kings reaction, they began to shout his name, which the mountain duly returned amplified as an echo. The great Spanish naturalist Félix Rodríguez de la Fuente was born in the village of Poza de la Sal. He described the village of his birth as a “human community” in “harmonious coexistence with the landscapes” which formed a “zoomorphic universe”. As a child he began to explore the natural area, watching and learning about the wildlife of area, which would later greatly influence his vision of the world. One day he saw a peregrine catch a duck here which led him to the world of falconry and then into natural history film making. The cable car at Fuente Dé takes you up a dizzying 750 metres past the sheet rock faces in four terrifying or exhilarating minutes, depending on your head for heights, to the wonderful alpine meadows at height of 1850m. 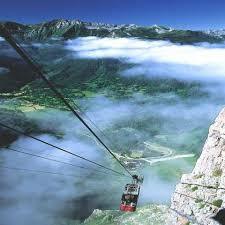 The cable car (teleferico in Spanish) is said to be the longest unsupported span of cable car in the world. There isn’t much to Fuente Dé itself save for a campsite and a few bars, but its situation at the foot of the cliffs which tower around forming an incredible glacial cirque is very impressive indeed. 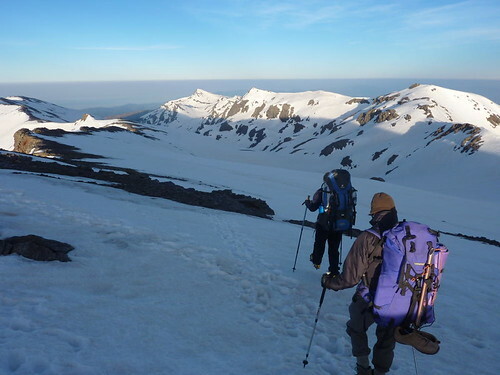 Once at the top there is great hiking all around including up to Peña Vieja or Pico Tesorero (2570 m). Alternatively, from here you can walk 2.5 miles to the Refugio de Aliva, which serves snacks and drinks. From here you can take the path down to Espinama below, a few kilometres down the road from Fuente Dé. 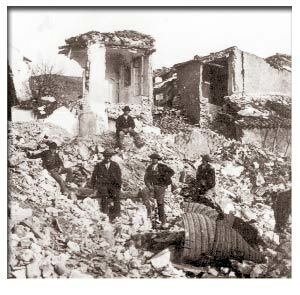 The earthquake in Arenas de Rey, Granada in 1884 was the most deadly in modern Spanish history. The earthquake had an estimated magnitude of 6.5-7 (Richter) and an intensity of 10 (MSK). 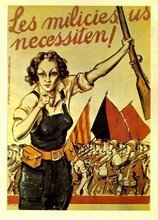 Almost 800 people were killed and 1,500 were injured. 14,000 homes were destroyed. Most of the town was destroyed and so today’s centre dates back to the end of the 19th century, which was rebuilt with money raised throughout Spain. The site of the Battle of Las Navas de Tolosa, one of the most important in Spanish history. The battle took place on 16 July 1212 and was an important turning point in the Reconquista and in the medieval history of Spain. The forces of King Alfonso VIII of Castile were joined by the armies of his Christian rivals, in battle against the Berber Muslim Almohad rulers of the southern half of the Iberian Peninsula. The crushing defeat of the Almohads significantly hastened their decline both in the Iberian Peninsula and in the Maghreb a decade later. It enabled the Christians to take over almost all of southern Spain in the ensuing forty years. The above painting is a somewhat fanciful portrayal. 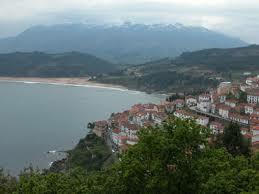 Lastres is an unpretentious and unspoilt fishing village in Asturias. This is an authentic working fishing village bursting with salty charm.Wonderful fresh fish is to be had at a restaurant at the harbour called El Puerto. The Baños Arabes in Jaén are considered one of the best examples Moorish hammams in Spain. They were built between the 11th and the 12th centuries, and cover an area of 450m2 making them probably the largest in Europe. The horseshoe arches and brickwork ceilings with their famous star-shaped windows give a nice, airy feel to the place. Most of the baths have been well restored. 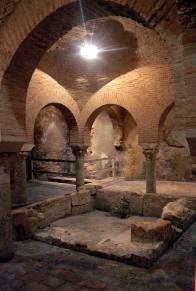 The baths are in the Palacio de Villardompardo which also worth a visit. They are free to visit and are open from 9am-8pm between Tuesdays and Fridays and from 9.30am-2.30pm on Saturdays and Sundays.